WATCH: Bro Wearing Insanely Realistic Little Girl Mask Is CREEPY On Steroids! Can something cute and harmless become the fuel of nightmares? YES. YES IT CAN. One guy has made a name for himself making super-realistic masks that look like specific people. 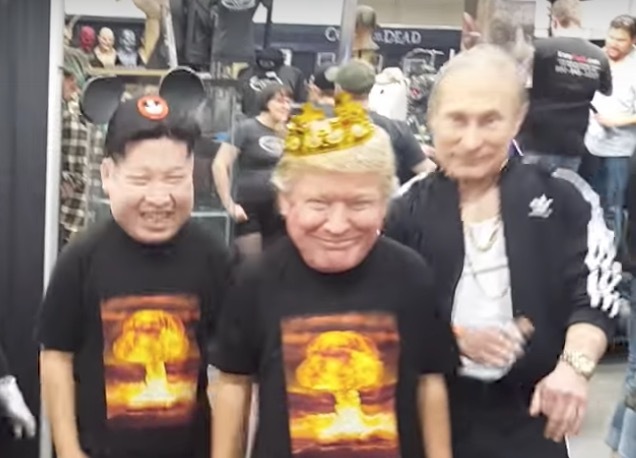 He did some that were featured in a video featuring Trump, Putin, and that short, fat guy from North Korea. Now the guys from Hyperflesh are back at it. They’ve made a little girl mask. Super-realistic. Pigtails. Big smile. Looks maybe 8 or 10. But the mask is big enough to fit over an adult’s head. Picture some big guy named Maurice walking around wearing this. That would scare the HELL out of you. And now? It’s a thing that exists in the real world. Share if you think that just because you CAN do something doesn’t always mean you SHOULD.